Positive Solutions for Families provides information for families on how to promote children’s social and emotional skills, and use positive approaches to help children learn appropriate behavior. The six sessions are designed to give you new strategies to handle daily routines, cope with challenging behavior, and help your child learn to solve simple social problems. You will learn to create and nurture success in your child, to avoid being drawn into energizing negativity, and how to have clear rules and clear and consistent consequences. The program is designed for families with children ages 3 to 6. 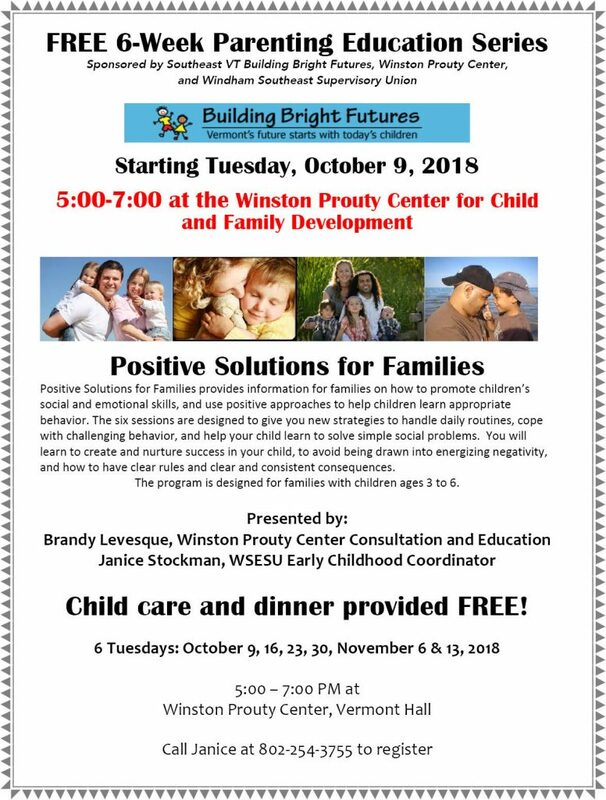 Child care and dinner provided FREE!